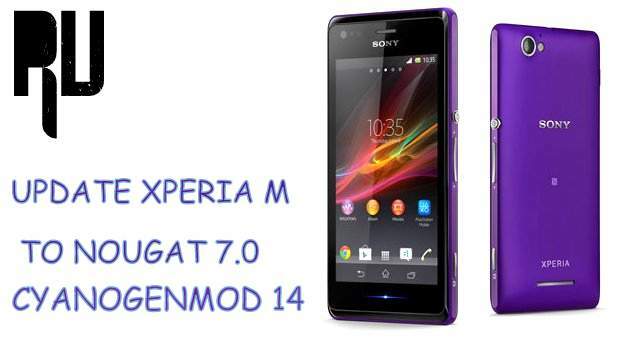 How to Update Xperia M to Android Nougat 7.0 N [Cyanogenmod 14 Nougat 7.0 Custom rom ] . 1 How to Update Xperia M to Android Nougat 7.0 N [Cyanogenmod 14 Nougat 7.0 Custom rom ] . 1.1 Download Android N 7.0 Nougat update for Sony Xperia M .
1.1.1 How to Update Sony Xperia M to Android N 7.0 Nougat . Now you can update your Xperia m to Android N 7.0 Nougat by using Cm14 nougat 7.0 custom rom for Sony Xperia m . Google has started rolling out nougat 7.0 update for Nexus devices but nexus 4 and Nexus 5 were not in the list to Get official android n 7.0 Nougat update so we posted about how to Update nexus 4 and 5 to Nougat 7.0 By using Cm14 custom rom and today we are here with the Cm14 Custom rom for Sony Xperia M .
Sony Xperia m was launched in 2013 and since then the smartphone is running on Android jellybean due to lack of support from official developers however the phone got further updates by Third party developers . Today we are here with the Cyanogenmod 14 custom rom for Sony Xperia M which is based on Latest android verision 7.0 Nougat . Android N 7.0 nougat is the latest version of android which comes with some major upgrades like Ui change , Security improvements , Battery tweaks . Download Android N 7.0 Nougat update for Sony Xperia M .
Camera with Many features , Filters and Manual mode . All 7.0 N apps supported . This custom rom is only for Xperia M and if flashed on any other device it may brick your device . Make sure you have charged your Xperia m Up to minimum 70% . Make sure you device has TWRP or CMW recovery Installed . Make sure You have active internet to download the Update . Related :- List of devices updating to Android N 7.0 Nougat . How to Update Sony Xperia M to Android N 7.0 Nougat . First Of All Download Nougat 7.0 Update for Xperia M .
Now Connect your Xperia M to Computer via USB cable . Now Copy the Downloaded Nougat 7.0 custom rom and paste it in the root of Memory card . Now Disconnect your smartphone . Now Remove battery for around 2 minutes . Now insert battery again . Now You Have to boot smartphone in Twrp or Cwm recovery mode . 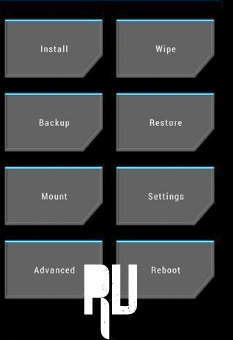 Now Choose Backup and make a backup of your existing ROM . Now Tap on install and choose the Cm14 nougat 7.0 custom rom . Now Tap on yes install . As soon as the flashing procedure gets completed you will see ” Updated successfully ” Notification . Now just make a reboot of device . Thats all this was the complete guide to Update Sony xperia m to android n 7.0 nougat , I hope the nougat 7.0 custom rom for sony xperia m helped you .